Have you made any resolutions yet? 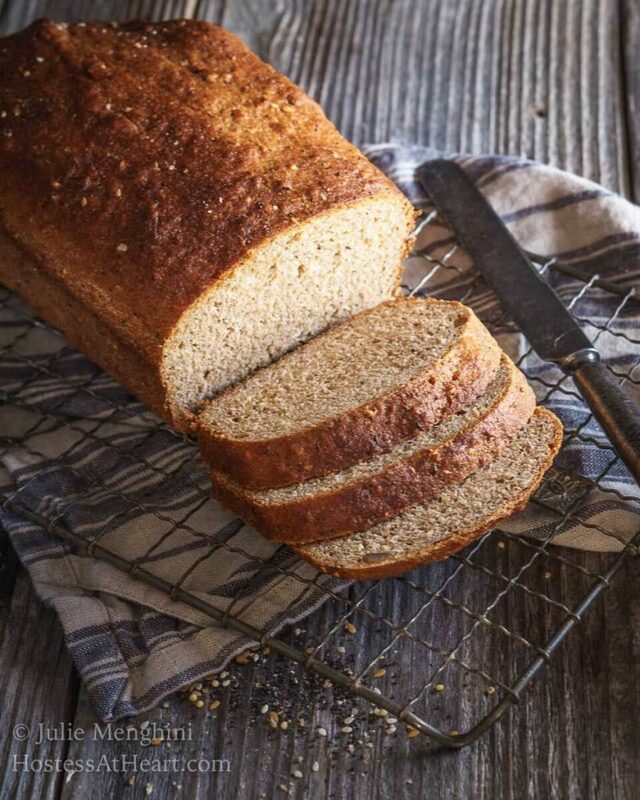 If you made one to eat a little bit better, you’re going to love this Organic Honey Whole Grain Bread Recipe! 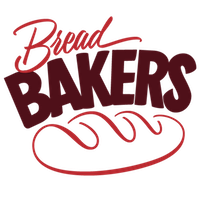 The holidays are behind us once again, and it’s time for this month’s BreadBaker’s group event. Our host this month is the very talented Pavani, the creator behind Cook’s Hideout. Pavani very appropriately chose our theme this month, “Start the new year with a healthy Bread”. 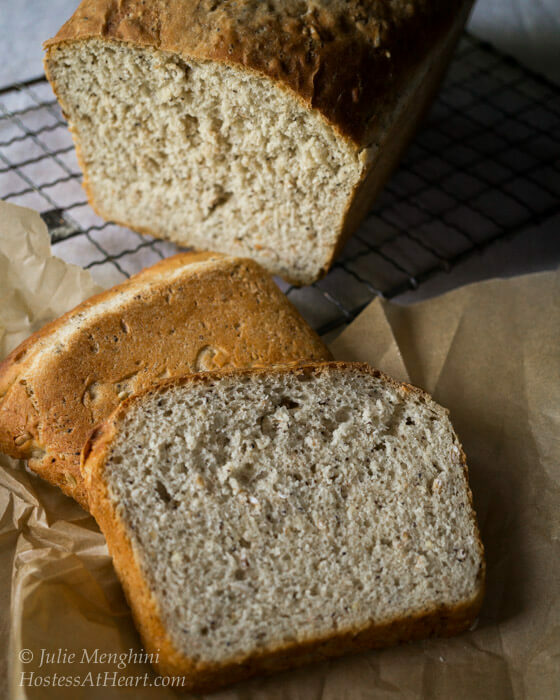 In this recipe, I used my own Whole Grain Bread Blend that I recently shared. This blend resembles one that I used to buy. I also wanted to use whole grain flours. Wheat is amazing but last year I experimented a lot with spelt. Both as flour for baking bread and the actual grain in our dinner dishes. We really love it. Some people think that bread that’s good for you tastes like cardboard. Not this one, it is one slightly sweet nutty loaf using only whole grains and no refined sugar. It’s a hearty loaf that would probably take over if used in a sandwich unless sliced thin. I served it with some homemade soup and we loved it. 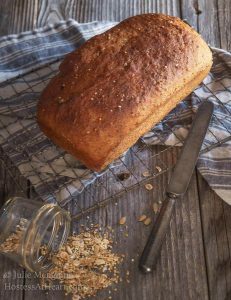 This Organic Honey Whole Grain Bread Recipe make a delicious hearty loaf that is perfect with a hot bowl of soup. In a small bowl or the bowl of an electric stand mixer, combine honey, vegetable oil, yeast and warm water. Let sit while you combine dry ingredients. In a large bowl combine whole wheat flour, 1/2 cup spelt flour, salt, organic whole grain bread blend and hemp hearts. Whisk to combine. If using an electric stand mixer fitted with a dough hook, mix wet ingredients together. On low, gradually add dry ingredients. Add additional spelt flour 1/2 cup at a time until the dough comes away from the sides of the bowl. The dough will be wet but not overly sticky. Continue to mix for 4 minutes. Oil a large bowl and pat the dough into a ball. Put into the bowl turning once to oil both sides. Cover with plastic wrap and place the bowl in a warm area. Also to rise until doubled, approximately 1-1/2 hours. Shape into a sandwich loaf and put the dough into a 9x5 oiled loaf pan. Spray or brush the top lightly with oil. Cover the dough until it just peaks the pan, approximately 1 hour. Carefully remove the plastic wrap and bake in a 350°F oven for 35-45 minutes or until dough measures 185°F to 190°F with an instant-read thermometer. 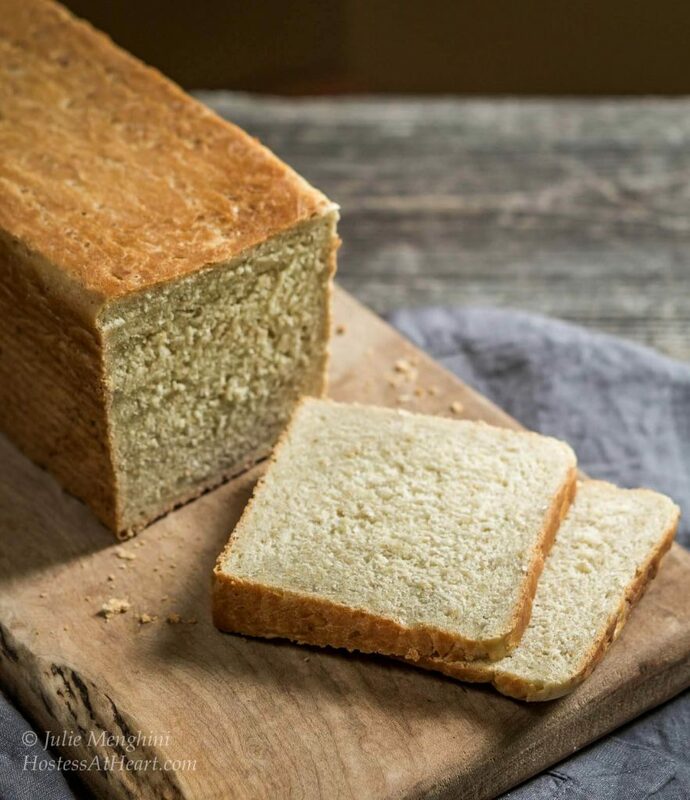 Remove bread from the pan immediately and allow to cool completely on a cooling rack before cutting. Prep time includes inactive rise times. This bread is a regular in my house. Here are a few more that I bake on a regular basis! I really like it Mireille! Thank you for stopping by. Such a beautiful loaf, love adding honey to wholewheat flour. Must try using spelt too. Thank you so much Mayuri! This bread sounds great! I have been wanting to experiment with spelt flour for awhile, but have not gotten up the nerve to do so. I am more inclined to try it now that your bread turned out so nicely! Thank you for sharing! Thank you so much, Jenny! 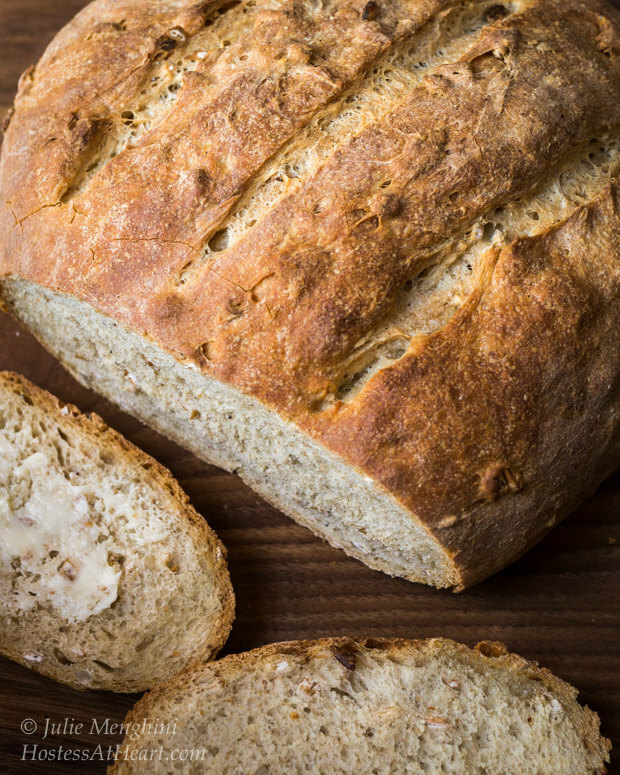 Elaine (Foodbod) has some amazing spelt bread recipes too. I love the grain in dishes too. What a wonderful loaf….just beautiful. Thank you so much! I love sneaking in whole grains when I can and I love their flavor too. 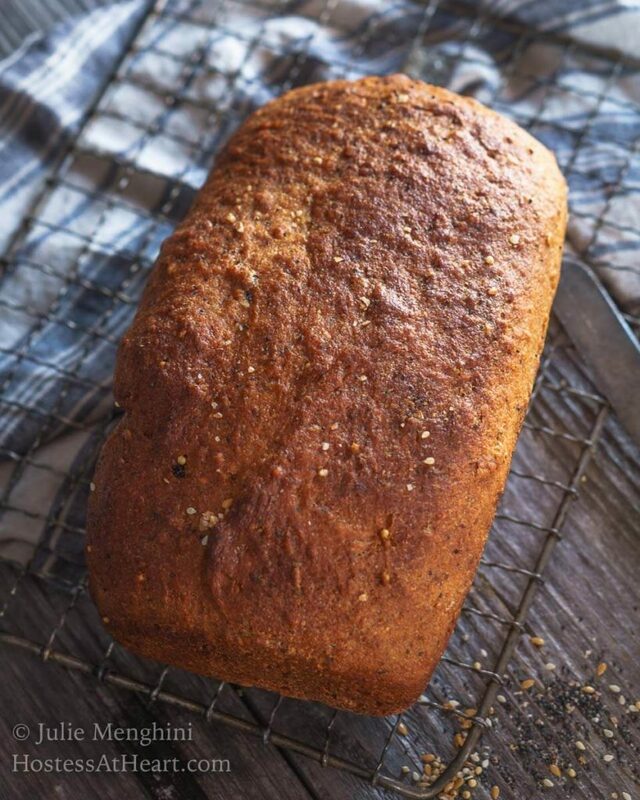 Wonderfully baked bread … I got hold of spelt flour , must try this recipe, bookmarking it.. Thank you Sneha! We really like spelt flour. Oh Sarah was a wonderful gift. We use a lot of honey and I just love it. Thank you, Christina! I will take a look at your blog. If you haven’t heard of http://www.fiestafriday.net take a look at that as well. There are a lot of wonderful bloggers there that you can connect with and get to know. Wow, this looks incredible! I love all your breads, but especially this one. That is such a hearty and delicious looking bread. Amazing clicks. Thank you, Pavani! It was the perfect theme for the New Year! Thank you for hosting it! Such a wonderful loaf you got there Julie. Loved every bit of it. Bookmarked to make this one soon! Thank you Smruti! There are so many wonderful submissions this month! I want to make them all. I know Judi! That’s just the best combination in the world. It certainly looks good from here! I agree Julie, where would we be without cinnamon and sugar? So many great ideas for combos for bread out there. Keep experimenting! Thank you, Cindy! You too!! What a wonderful loaf of bread! I pinned it, and this is one recipe that won’t be left languishing on my Pinterest board. I love adding lots of goodies to my whole grain bread too, and having the mixture on hand would be a real time saver. Thank you, Lorinda! I appreciate you sharing and hope you’ll let me know how it comes out. Julie, this bread sounds and looks amazing. I love that you incorporated spelt. Sounds delicious. Thank you, Karen! I love these challenges because it makes me try new things too. Thank you Loretta! My door is always open and we would have a great time wouldn’t we? Your bread looks amazing, it’s healthy and I’m sure it is delicious! 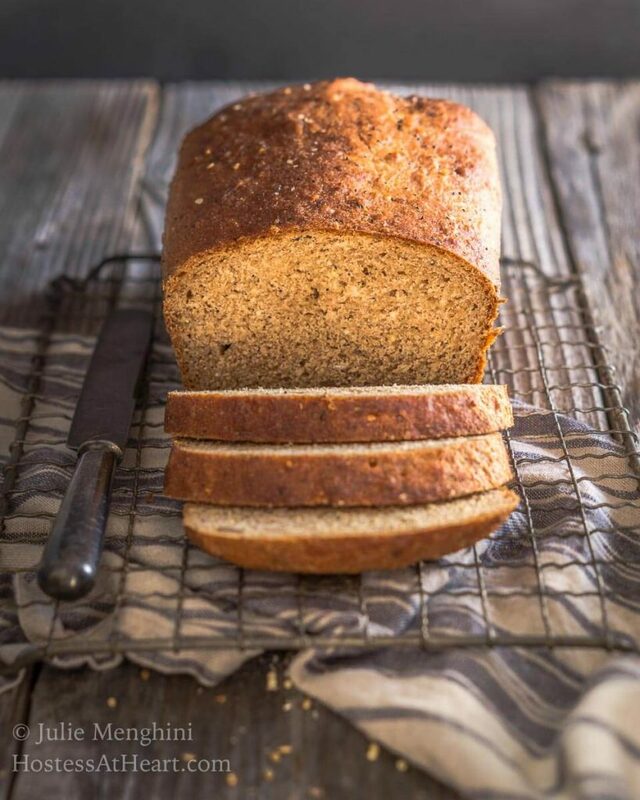 Organic whole grain, honey and spelt – what’s not to like?